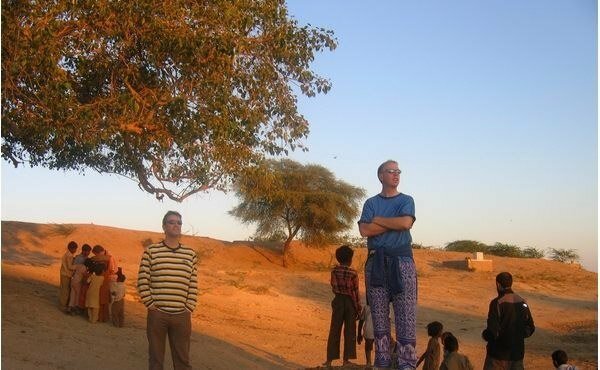 Early morning express train to Ajmer. 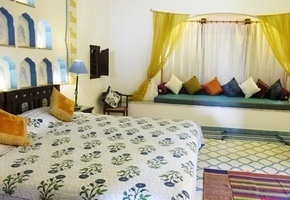 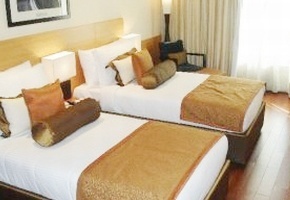 Continue by road to the small village of Barli where you stay in a beautifully renovated old fort. 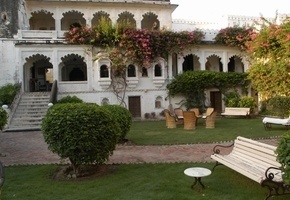 Fort Barli is an intimate heritage hotel with a small number of beautiful rooms and suites where you can relive the days of the Maharajas. 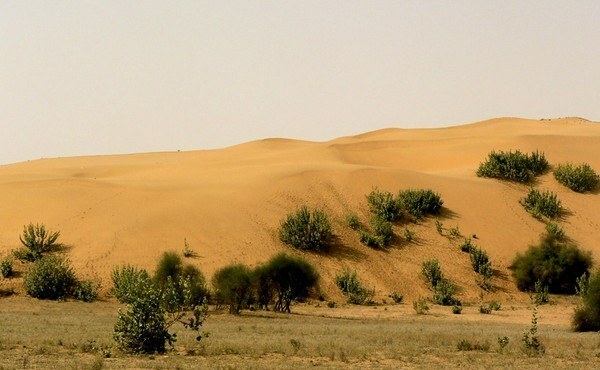 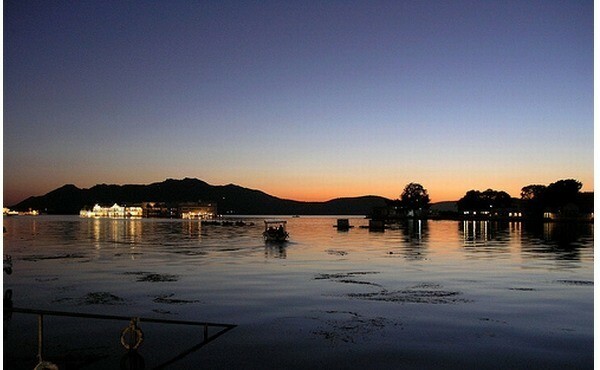 The small and picturesque village of Barli offers a good opportunity to enjoy peaceful rural life. 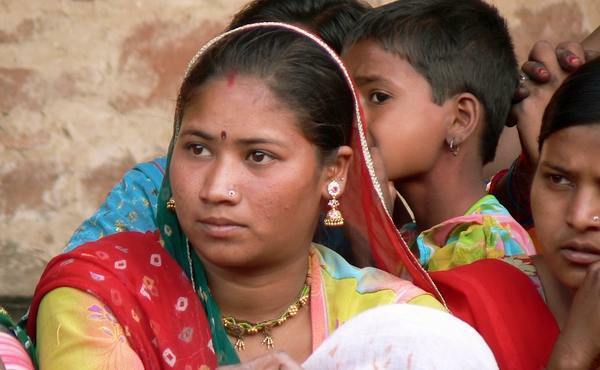 Here you see genuine smiles from people who are happy to welcome you in their village. 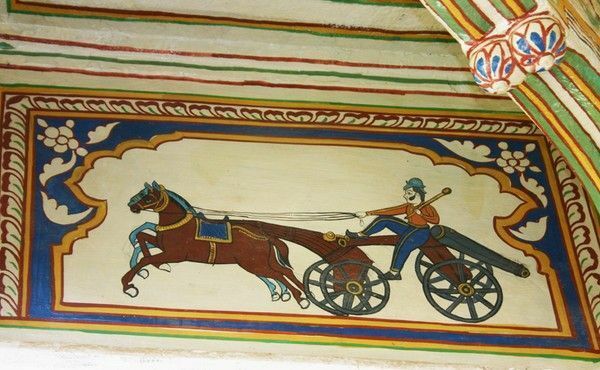 You take a ride by bullock cart through the village. 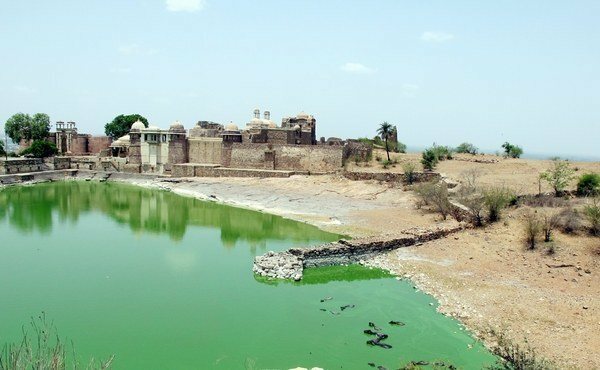 Today you drive from Barli to Bundi. 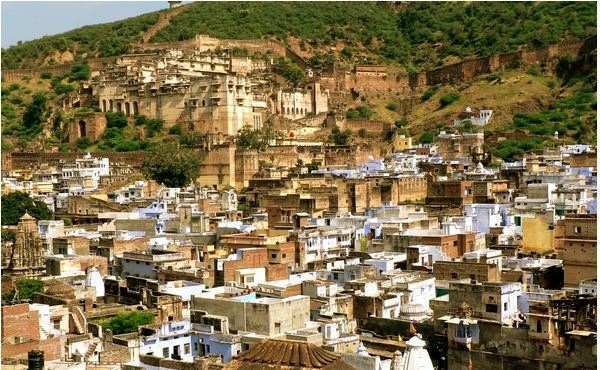 Bundi is situated in a beautiful narrow valley, dominated by the awesome 14th century Taragarh Fort, one of the most spectacular monuments of Rajasthan. 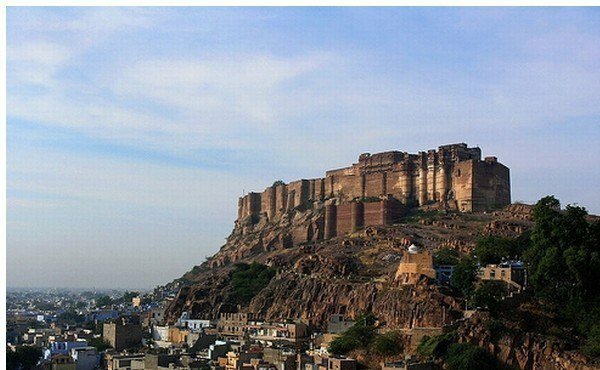 The climb up to the Fort through the colourful and friendly bazaar offers spectacular views over the town and surrounding countryside. 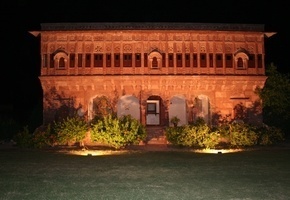 Drive to the colossal hilltop fort of Chittaurgarh where you stay in a delightful family run homestay which occupies an old haveli within the walls of Chittaurgarh Fort. 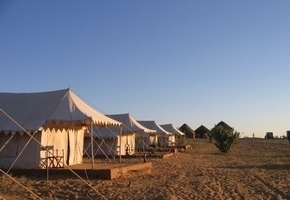 Bicycles are available to explore the village and the Fort. 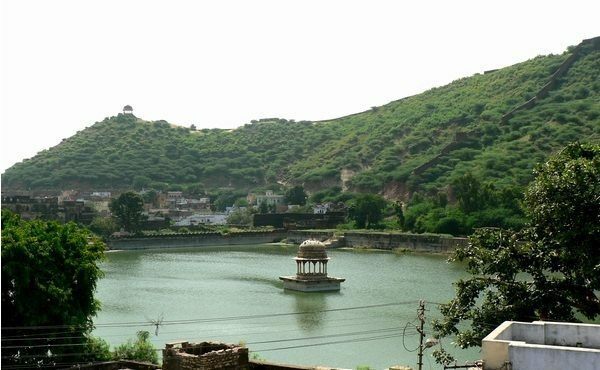 Continue to the enchanting `White City' of Udaipur, surely Rajasthan's most picturesque city with its white marble palaces, placid blue lakes, attractive gardens and green hills. 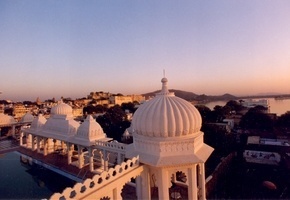 In the morning you enjoy a tour of Udaipur which includes a visit to the huge City Palace. 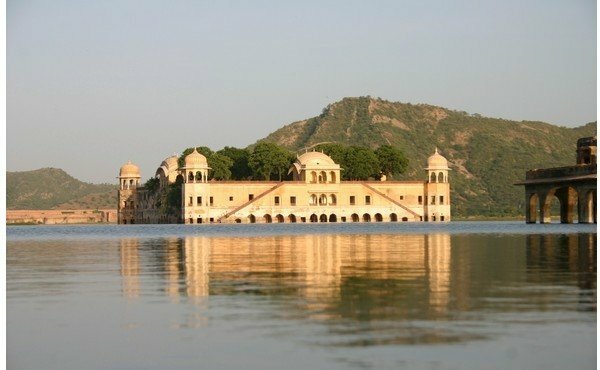 You round off your tour with a boat trip on Lake Pichola. 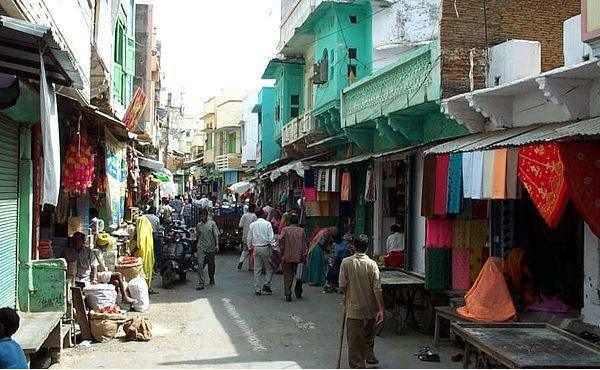 The afternoon is free to wander through the maze of alleys and interesting bazaars. 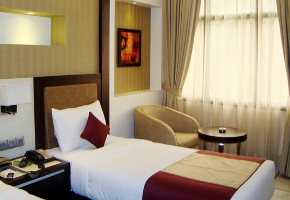 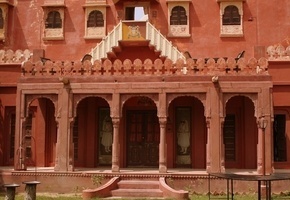 Nearby is the pleasant and little-frequented town of Deogarh. 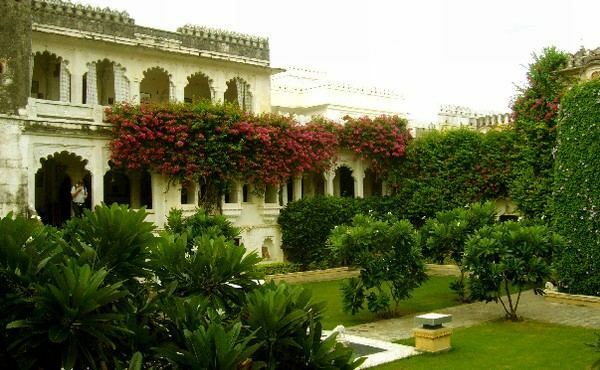 The narrow bazaar road, filled with textiles and silver jewellery shops, winds its way up to the top of the hill where you find the beautifully renovated 17th century Deogarh Mahal Palace. 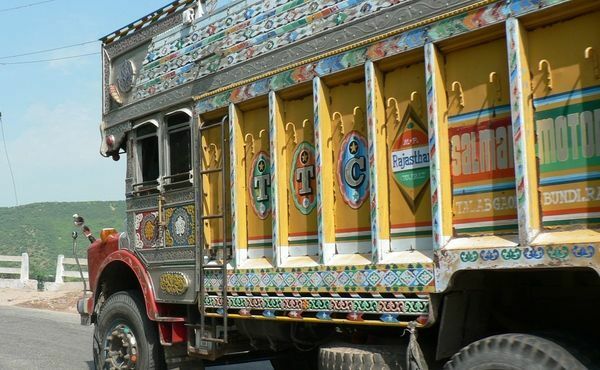 In the afternoon you take an excursion to the surrounding countryside in one of the vintage trucks owned by the family. 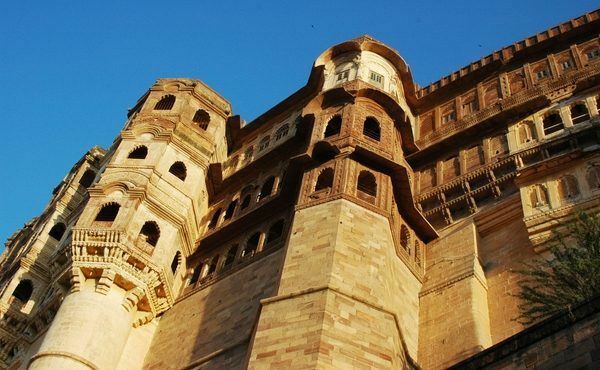 Drive via the formidable Kumbhalgarh fort to Narlai, a small town overlooking a giant 90m single rock of granite, dotted with caves and temples. 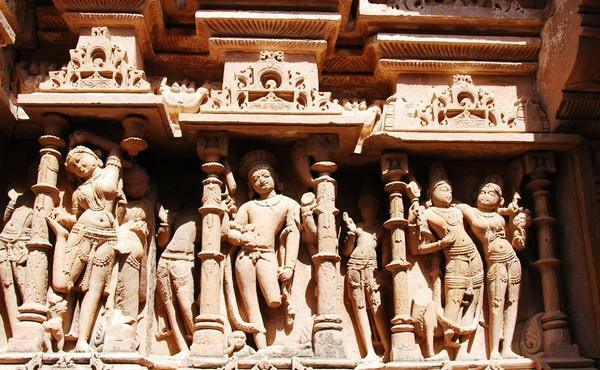 Morning optional walk to historic temples in and around Narlai, followed by a visit to the superb Jain temples of Ranakpur. 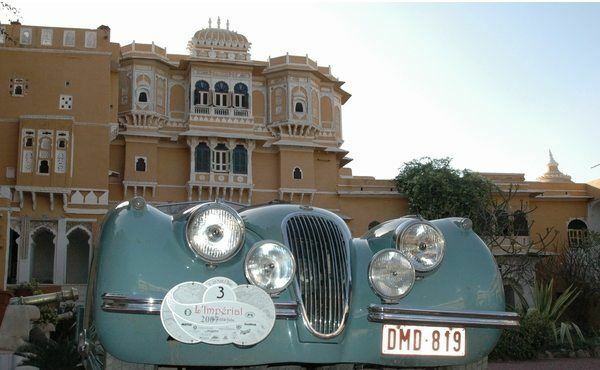 Afternoon drive to the `Blue City' of Jodhpur. 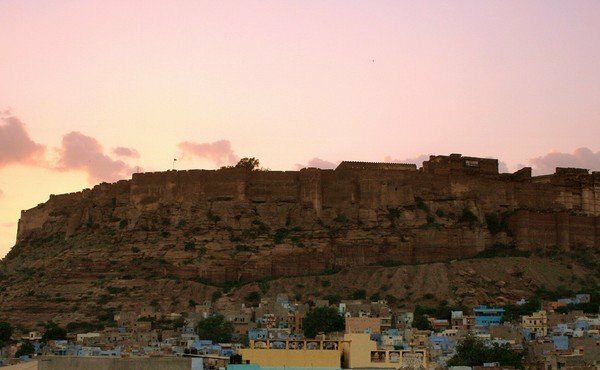 Perched on a hilltop dominating the city, Meherangarh Fort is the most visually spectacular in Rajasthan. 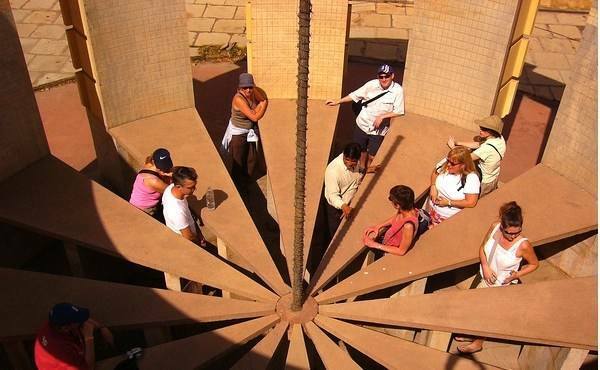 An excellent audio tour is included in the entrance fee, and this leads you through the museum within the Fort. 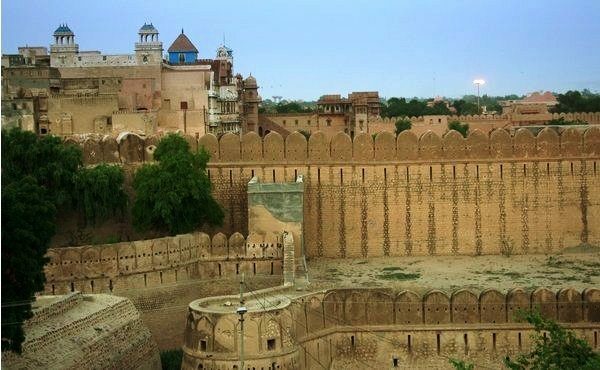 Afterwards it is well worth exploring the ramparts of the fort, with their superb views. 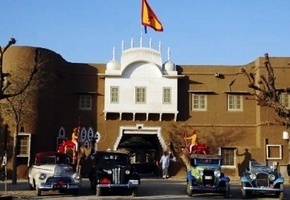 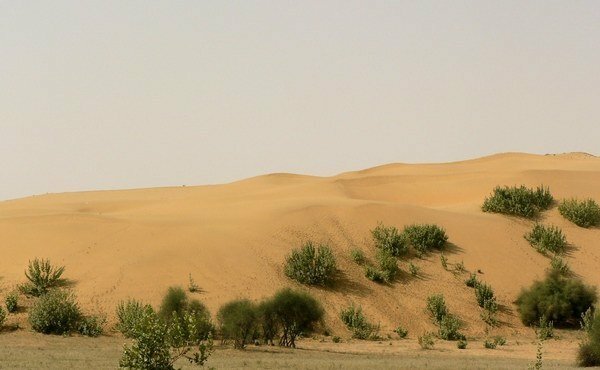 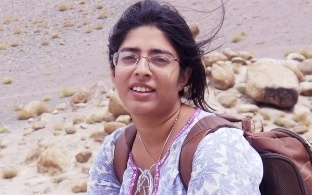 Drive via Nagaur and the unique Karni Mata Temple at Deshnok to Bikaner. 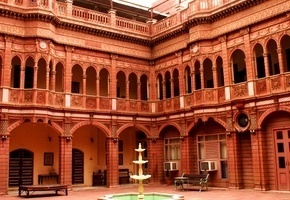 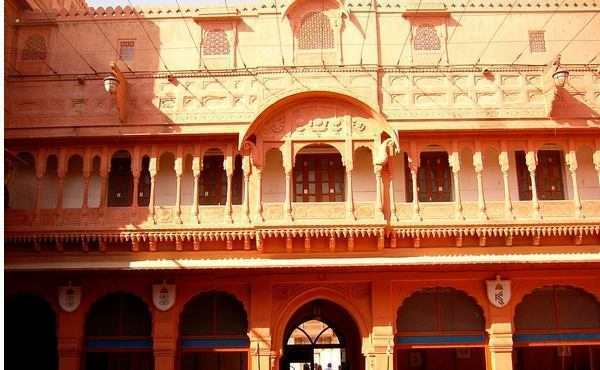 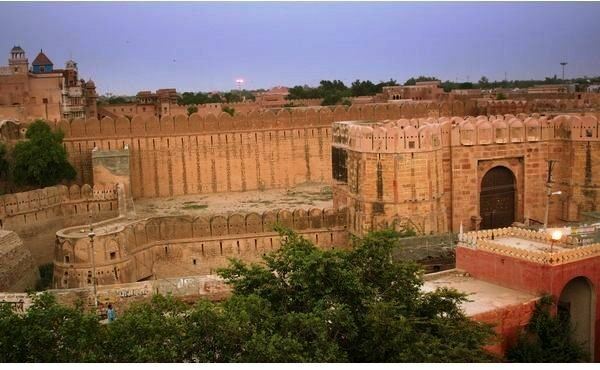 The old city of Bikaner retains a medieval air with its maze of narrow lanes and some beautifully carved havelis in red sandstone, while outside the walls, many palaces and mansions survive. 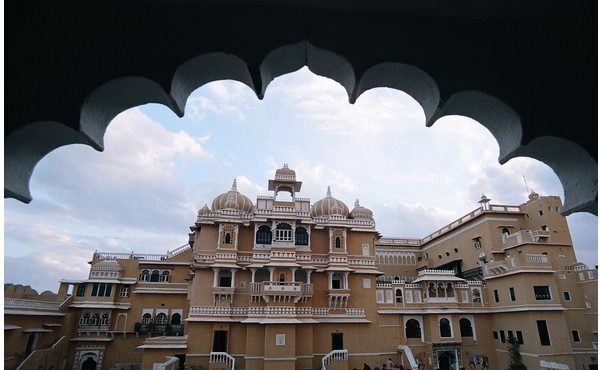 Today enjoy a guided morning tour of Junagadh Fort. 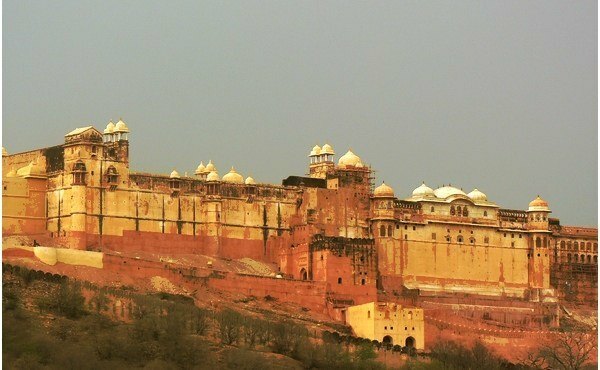 Founded in the 16th century, but expanded by subsequent rulers, the huge Junagarh Fort is one of Rajasthan's best preserved and most impressive. 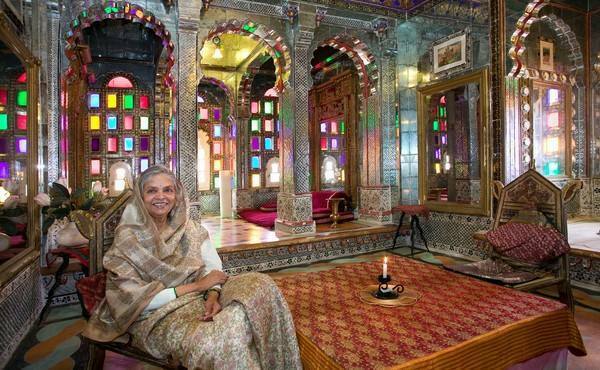 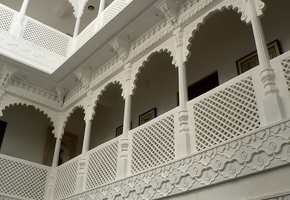 It contains many stone carved palace buildings filled with memorabilia offering an insight into Rajput palace life. 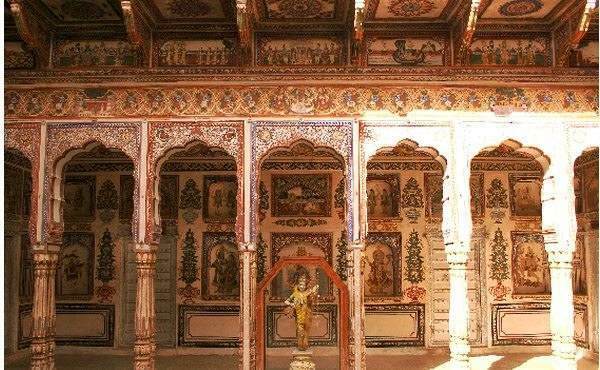 Continue to the Shekhavati area of Rajasthan, famous for its havelis with colourful frescoes and murals. 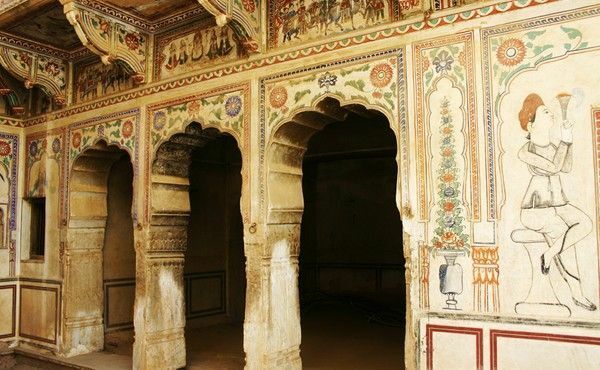 You follow a guided afternoon walk of Mandawa to enjoy the painted havelis. 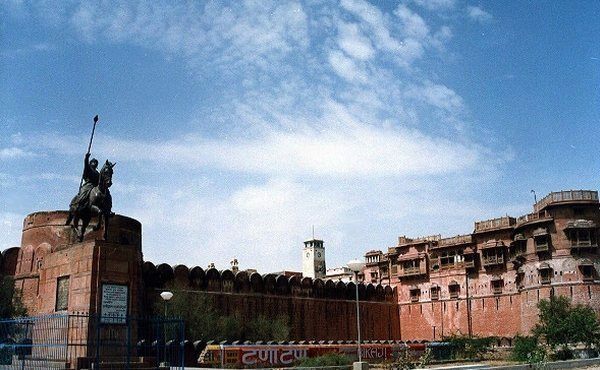 Drive to the `Pink City' of Jaipur, the capital of Rajasthan. 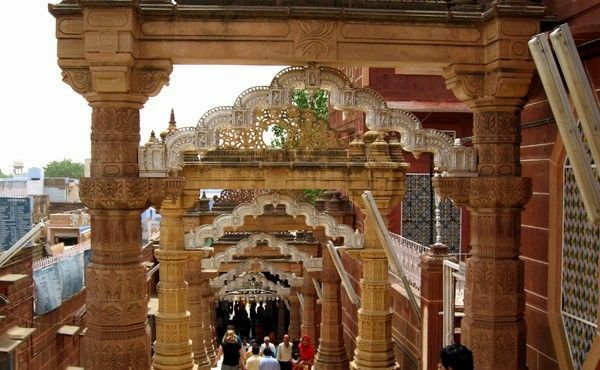 On Jaipur's streets, camel carts, scooters, cycle rickshaws, modern cars and bullock carts all jostle for space - a total riot of colour. 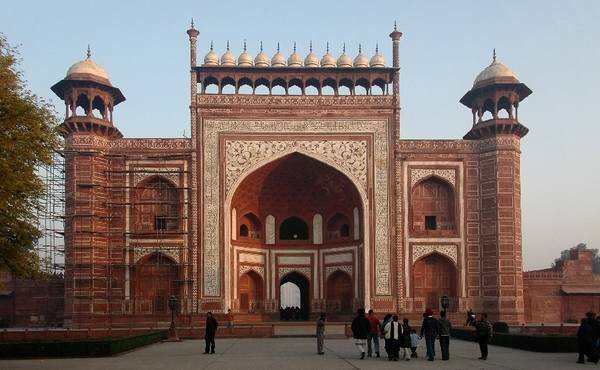 There are incredible palaces, fascinating observatories, parks and bazaars. 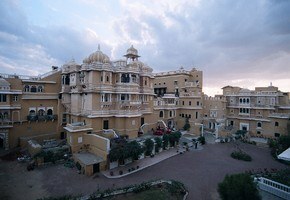 Jaipur never fails to thrill. 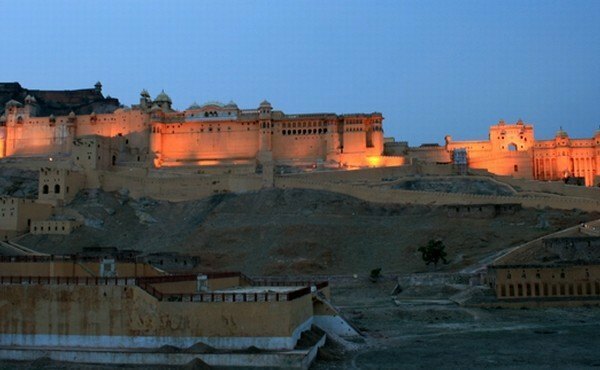 In the morning you visit the magnificent Amber Fort, a magnificent complex of palaces, halls, pavilions, gardens and temples built over a period of 125 years by successive rulers. 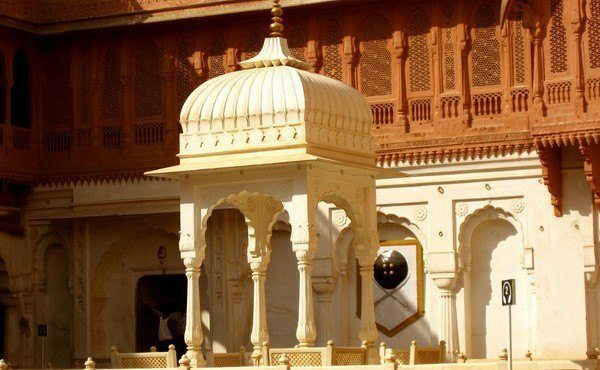 In the afternoon you tour the stunning `Pink City' of Jaipur and have time to browse in the colourful bazaars. 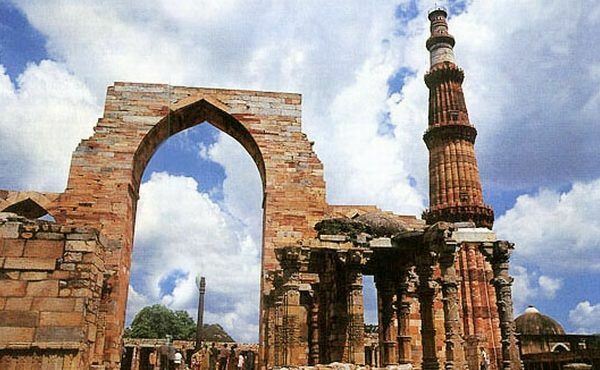 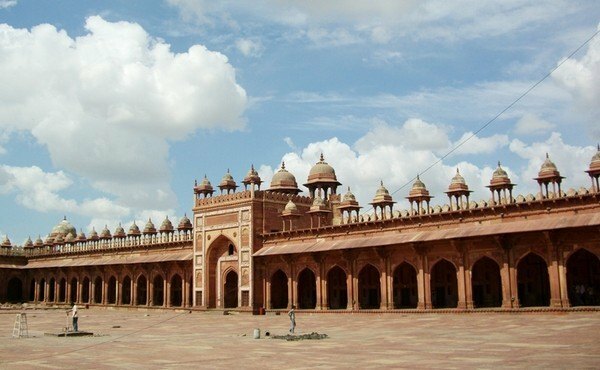 Drive via the deserted Moghul city of Fatehpur Sikri to Agra, city of the incomparable Taj Mahal. 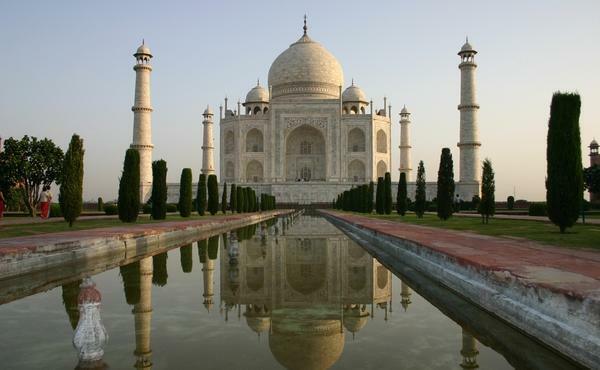 Visit the Agra Fort and the magnificent Taj Mahal, one of the most beautiful buildings in the world. 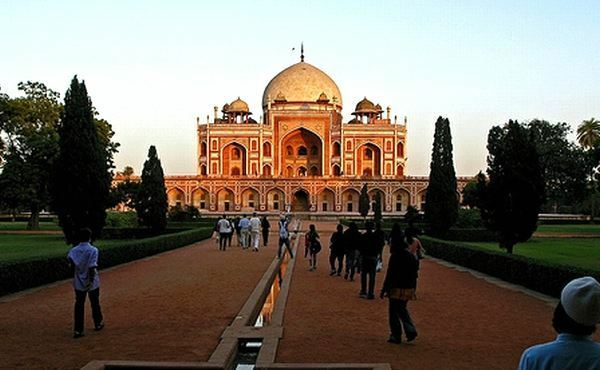 In the afternoon you return to Delhi. 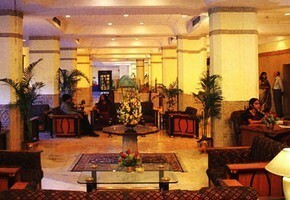 Tour ends after breakfast. 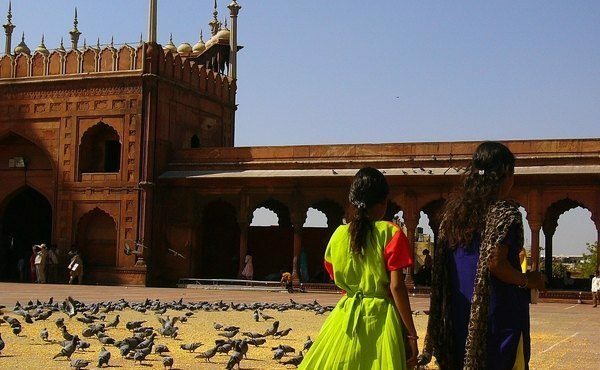 Transfer to Delhi airport to connect with your onward travel. 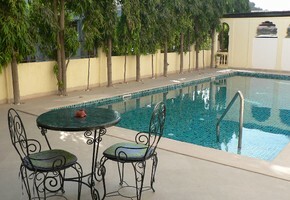 From EUR 1,960 per person based on two people sharing. 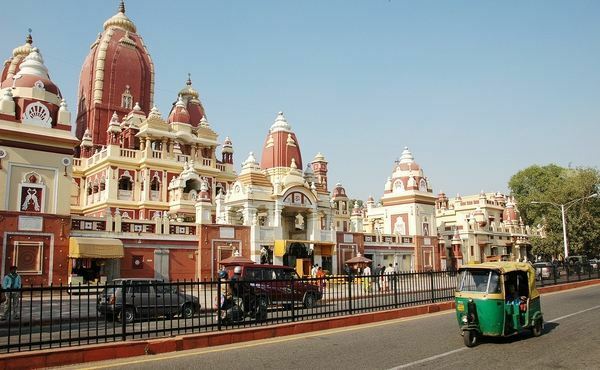 Day train by air-conditioned `chair car' from Delhi to Jaipur. 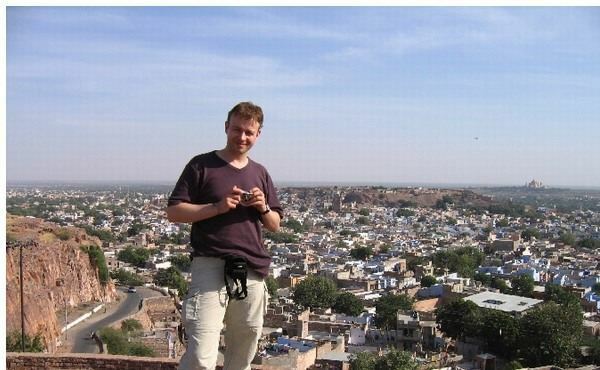 English-speaking local guide for tour of Delhi, Udaipur, Bikaner, Mandawa, Jaipur & Amber Fort, and Agra. 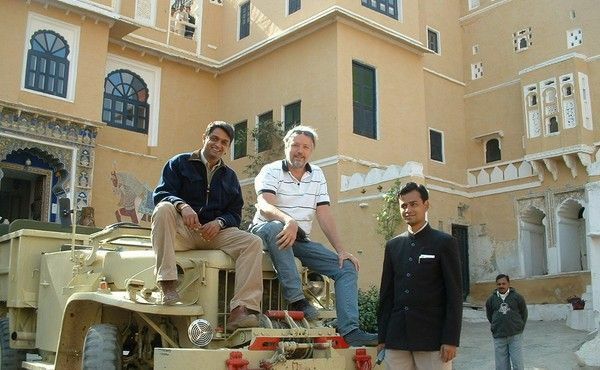 Bullock cart ride at Barli. 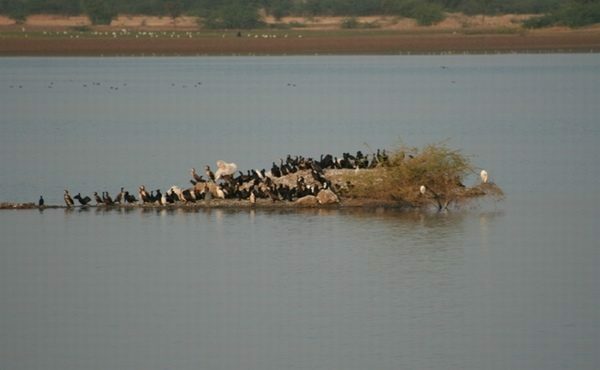 (Shared) boat ride on Lake Pichola. 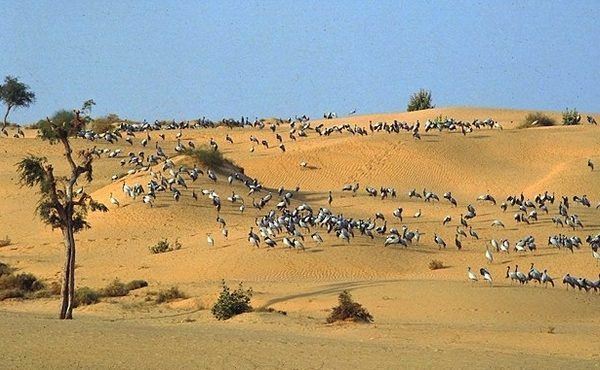 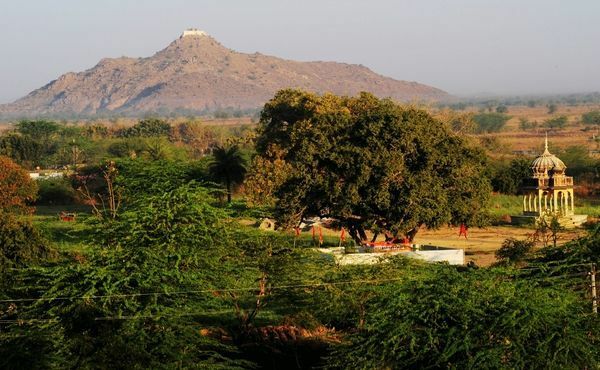 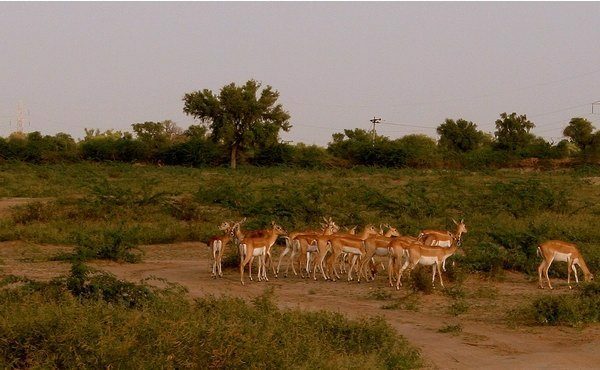 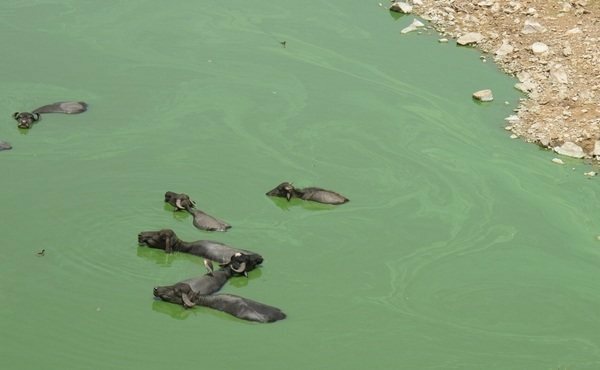 The small and picturesque village of Barli, south of Ajmer, offers a good opportunity to enjoy peaceful rural life. 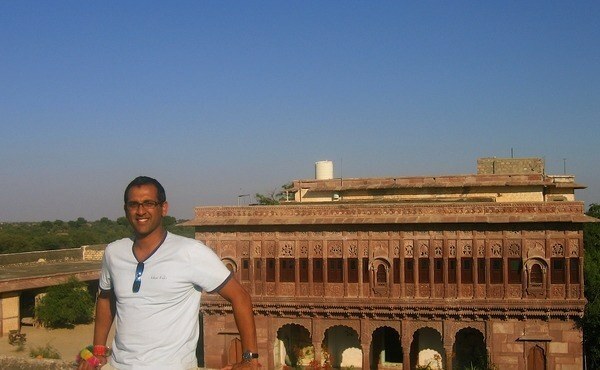 Here you see genuine smiles from people who are happy to welcome you in their village. 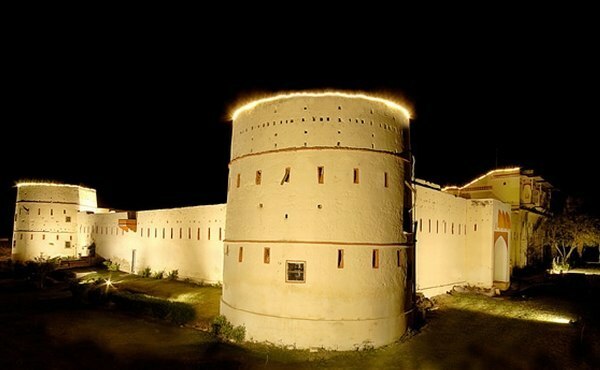 You can stay in the Barli Fort which dates back to 1675. 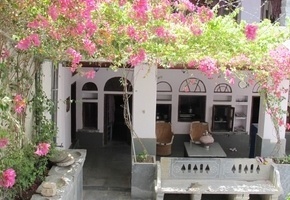 It has been under its present ownership for sixteen generations and has recently been renovated as a charming heritage hotel by the family who owns it. 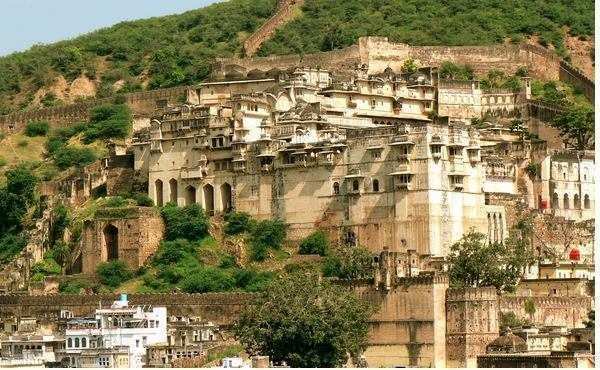 Bundi is situated in a beautiful narrow valley, dominated by the awesome 14th century Taragarh Fort, one of the most spectacular monuments of Rajasthan. 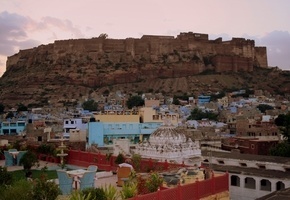 The climb up to the Fort through the colourful and friendly bazaar offers spectacular views over the town and surrounding countryside. 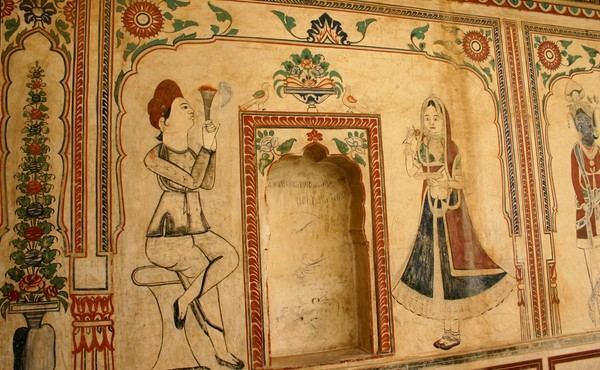 It's well worth the effort to climb up just to see the Chitrashala, the picture gallery with Bundi's famous miniature paintings and delicate murals. 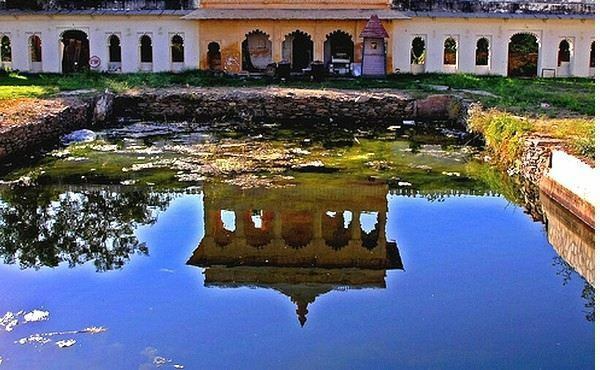 Chittaurgarh Chittaurgarh Fort is one of the most impressive in Rajasthan. 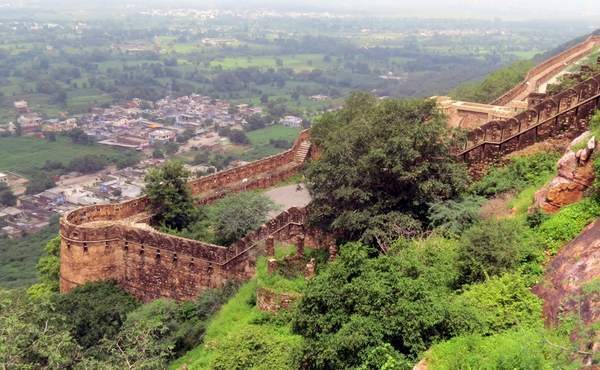 The colossal hilltop fort of Chittaurgarh, or Chittaur, was the ancient capital of Mewar State, ruled by the Sisodia Rajputs. 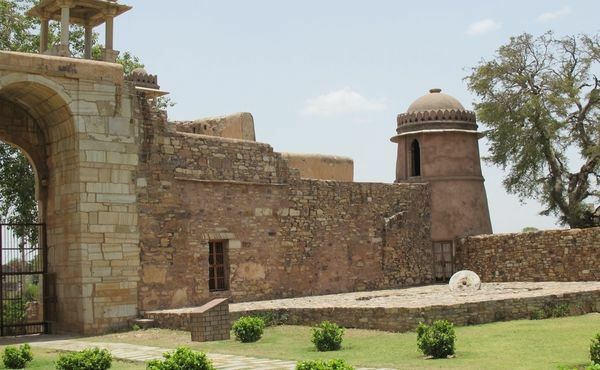 Three times in its long history, Chittaurgarh was sacked by a stronger enemy and on each occasion the men rode out from the fort to certain death, while the women committed johar by throwing themselves and their children onto a huge funeral pyre. 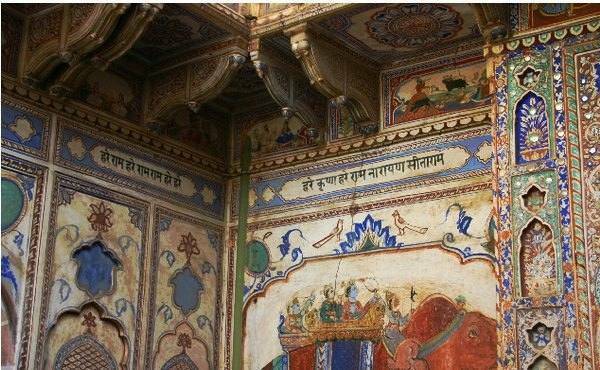 The immense stretch of Chittaurgarh's walls and ruined palaces relate therefore the saga of innumerable sieges and heroism. 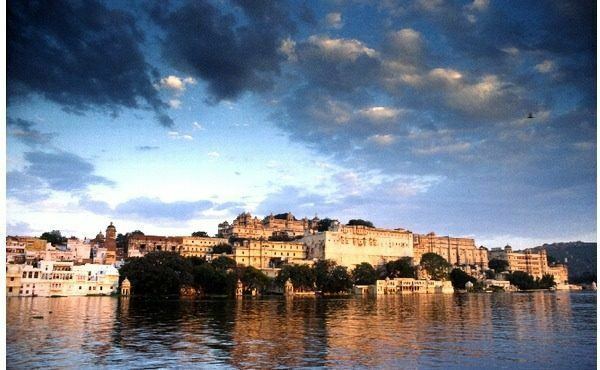 Set around the vast Pichola Lake and dominated by dramatic palaces, Udaipur is surely Rajasthan's most picturesque city. 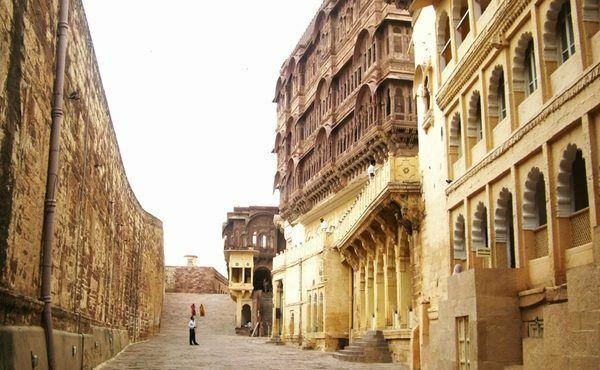 High whitewashed houses and narrow, winding alleys lend it an almost medieval charm. 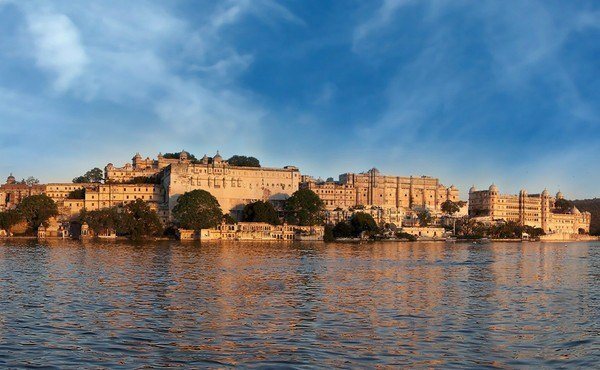 The huge City Palace, still the residence of the Maharana, is carved out of yellow sandstone and stands on the banks of the Lake Pichola, from where you have fabulous views over the lake and the famous Lake Palace Hotel. 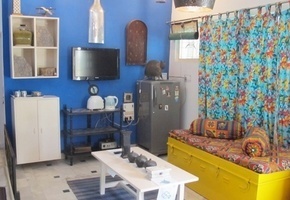 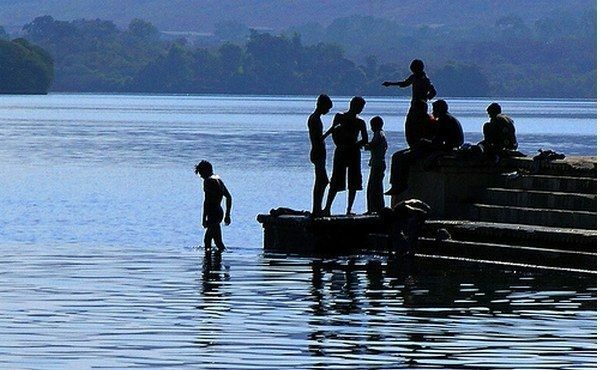 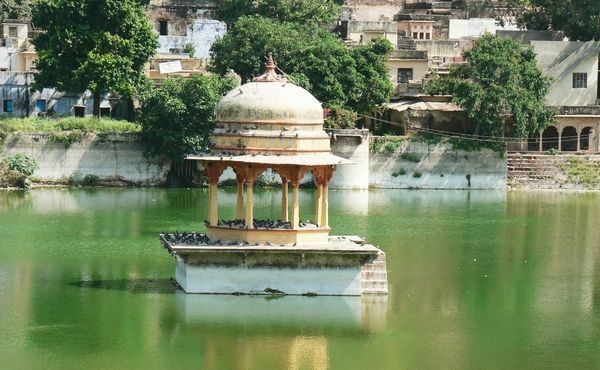 Deogarh is a pleasant, little frequented town midway Pushkar and Udaipur. 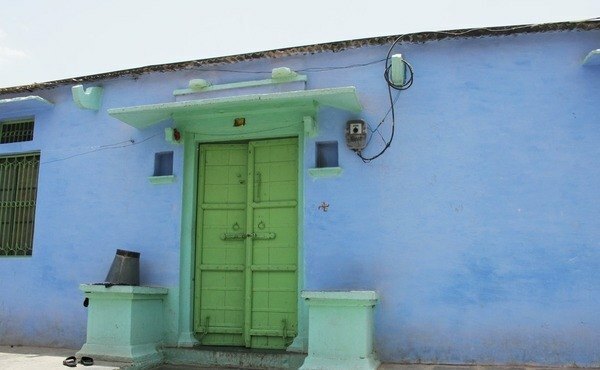 The village market is dotted with shops selling silver jewellery, clothes, fabrics, food stuffs and just about everything one needs in a Rajasthani household. 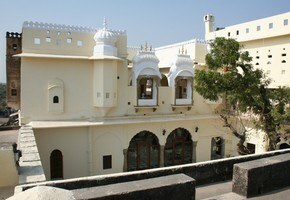 The road winds its way up to the top of the hill up to the beautifully renovated Deogarh Mahal Palace. 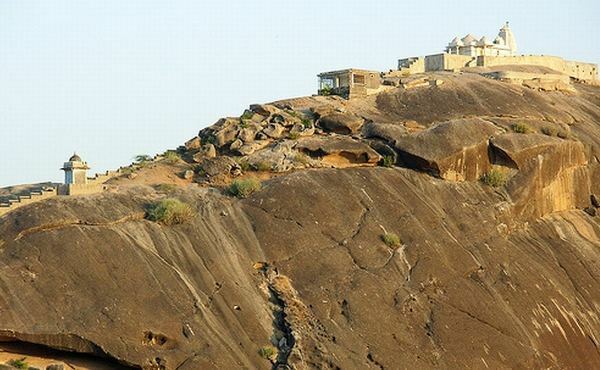 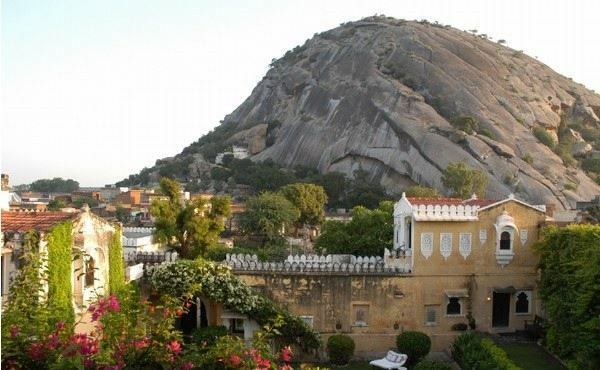 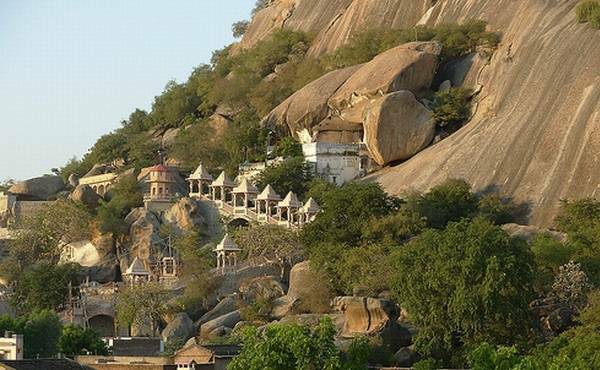 Narlai is a small village midway between Jodhpur and Udaipur, overlooking a gigantic 350-foot single rock of granite, dotted with caves and temples. 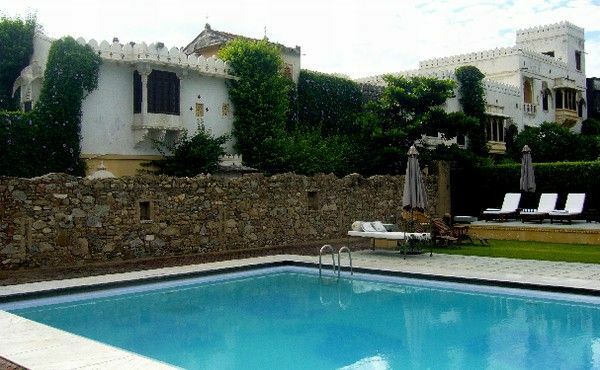 The village has a beautifully restored 17th century hunting lodge. 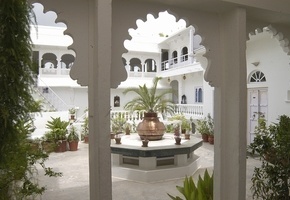 The small haveli lies cozily within fortress-like walls and the white-washed terraces offer views of the hill with its dramatic huge granite boulder. 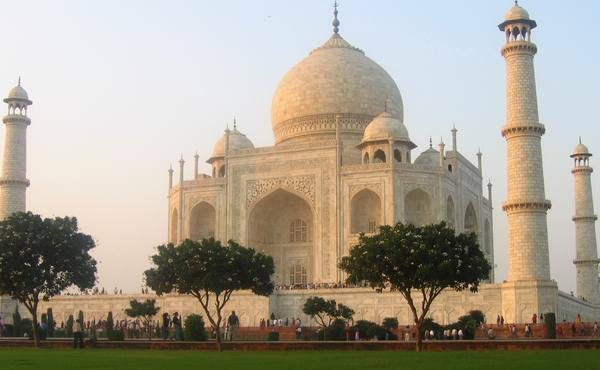 The time in India on 26 April,2019 is now 03:48 hours.